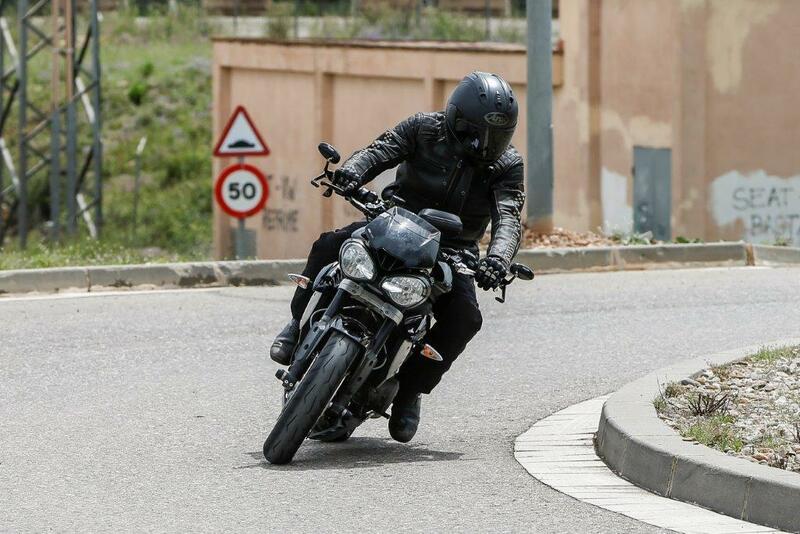 After months of near misses and close calls, one of MCN’s spy photographers has managed to grab a series of decent images of the all-new Triumph Street Triple 765 as it was undergoing final road testing. 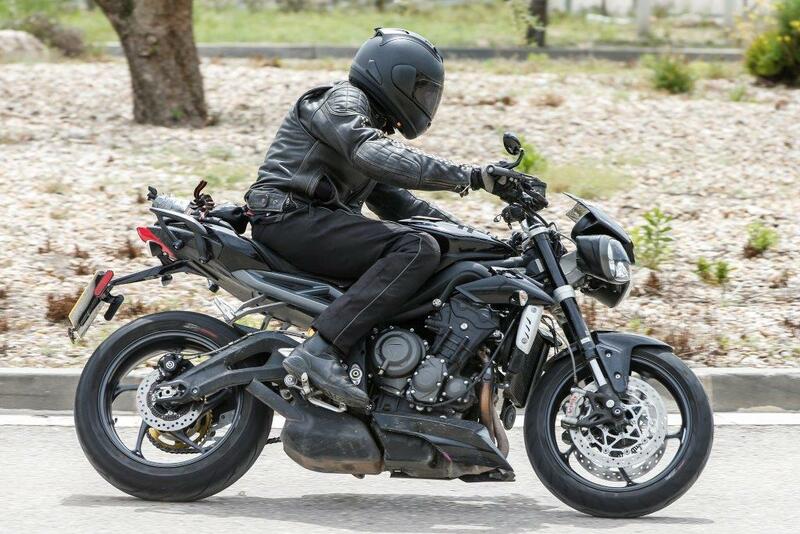 The prototype bike was spied on the road outside Triumph’s test facility and this is the first time we have been able to see the bike in full detail and the huge changes to the bike can be confirmed with far more certainty now. The chase to nail these images has been a long and frustrating but these high quality, close-up and pin-sharp images are the final proof that an all-new Street Triple 765 will be getting a larger-capacity engine along with a host of other changes to bring the ever-popular British naked middleweight right up-to-date. 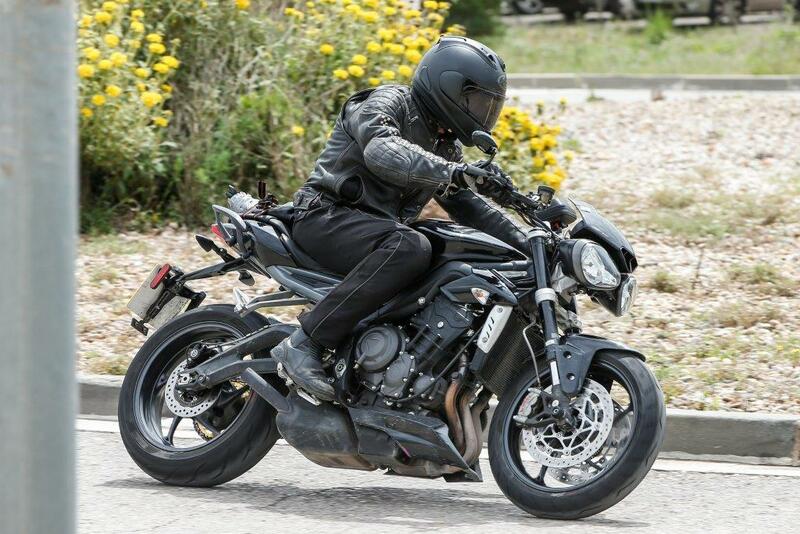 The existence of the new Street Triple 765 has been a pretty open secret for the best part of a year since news of the bike being shown to customer focus groups leaked out. From those meetings we discovered the bike was going to be called the Street Triple 765 which signifies the engine will be getting around an extra 90cc of capacity from the three-cylinder motor. The major change to this bike is the new engine which, from these images, can be seen to be very different from the existing 675cc motor which currently produces around 100bhp. We estimate the new engine will produce closer to 110bhp thanks to the extra capacity which comes as a result of both a slightly wider bore and a longer stroke. The advantages of increasing capacity in this way is that the engine doesn’t lose the nicely rounded road manners that has made the Street Triple 675 such a hit since it was first introduced in 2007. Other changes to the bike include a new swingarm, updated brakes (in this case the R model gets Brembo radially-mounted calipers) and we can see the same twin lights and incorporated ramair scoop as seen on the Speed Triple 1050. This bike and as many as three other variants will be launched later this year and will be on sale in early 2017 priced between £8000 and £10,000 for the ‘R’ version pictured here. MCN will have the full story on the complete range in the next issue of the paper out on June 1.